Your most cherished will be able to carry their tools in style with the Smoby Bob the Builder Tool Bag. Jam packed with features inspired by the hit T.V show, watch on as your little one spins the Mechanical Drill by pushing the trigger or has some crash-wallop fun with the saw, hammer and spanner. 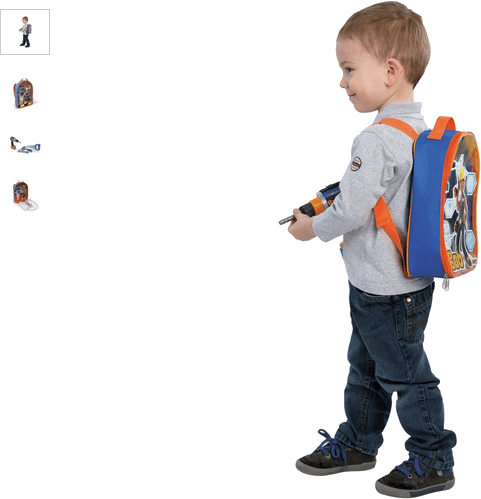 The large back pack comes with lovely compartments for all the included tools and a transparent front panel with a cool vibrant Bob the Builder printed graphic. Get money off with April 2019 free Argos voucher codes, see if there's a promo code for the Smoby Bob the Builder Tool Bag product. Argos may be out of stock of this product. To enhance your shopping experience you may also be redirected to a search results page when you click an outbound link.